Thousands of smokers stubbed out their cigarettes during Stoptober - New Zealand’s first national quit smoking month - and organisers are reminding Kiwi smokers that it’s not too late if they are still thinking about it. Around 5100 smokers signed up to www.stoptobernz.co.nz and organisers say many more, prompted by the campaign, will have chosen to go it alone unofficially. Stoptober campaign manager, Stephanie Erick says the month has been hugely successful with strong support from health professionals and smokers have embraced the idea of doing it together. "More and more Kiwis are realising the toll that smoking is taking on their health, their families and their wallet, and Stoptober has encouraged many to take the first step. With the support offered by stop smoking providers, the Stoptober app and Facebook, those times of temptation have been able to be shared and overcome. "While we await final numbers of those who have chosen to quit using their local service we have had reports from many of the stop smoking providers that they have been overwhelmed with the response of smokers wanting to quit. We hope that once we have all the data it will show a noticeable dent in the smoking statistics and that we will be well on our way to a smokefree 2025. This has been a fantastic effort by everyone," says Ms Erick. For those who have spent the month of Stoptober thinking about quitting, they still can. As long as you sign up before the end of the day on 31st October you will still receive 31 days of support. 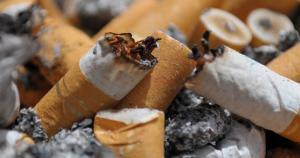 Clinical evidence shows that smokers who manage to stop smoking for a month are five times more likely to stop for good. Over half the quitters (51%) were aged between 25-44 years and twice as many females committed to stop smoking (68.7%) opposed to only 31.2% of males. The highest number of sign-ups came from Auckland with 47.5%, followed by Wellington (10.8%); Canterbury (10.4%), Waikato (5.7%), Otago (5.4%) and Bay of Plenty (5.01%). Motivations have been varied with smokers deciding to kick the habit once and for all due to health or financial reasons or they have watched a family member die from lung cancer. Many just want to be around for their children and grandchildren. Campaign partner, Inspiring, who create innovative approaches for behaviour change in health, supported stop smoking services to provide group based treatment to keep up with the demand. Inspiring’s Rebecca Ruwhiu-Collins says "Group Based Treatment has been proven to be a much more effective method of helping people stop smoking than self-help. The group dynamic and the support from other smokers going through the same journey keeps them motivated to achieve not a single puff." Additionally, an online version of Group Based Treatment called iGBT is launching this week which offers support to both Stoptober participants who may need further help and smokers who are about to start their quit journey . For more information or to sign up for the free programme, visit iGBT.nz. ASH and Inspiring have partnered with DHBs, Primary Health Organisations, Pacific, Maori and pregnancy health providers and manufacturers of smoking cessation treatment to make this the biggest quit smoking attempt ever. The campaign followed on the back of the United Kingdom Stoptober campaign which has been running for two years and last year saw nearly 250,000 people quit smoking. Smoking is still the biggest cause of premature death in New Zealand, taking 5,000 lives each year which equates to 13 people per day. Smoking cuts your life-expectancy by 15 years on average and is most prevalent in Maori and Pacific communities. The latest 2013 NZ Census shows 33% of MÄori and 23% of Pacific people smoke, compared to 14% of Europeans and 8% of the Asian population. Stoptober is funded under the Pathway to Smokefree 2025 Innovation Fund and run by Action on Smoking and Health (ASH) and Inspiring Limited, a provider of smoking cessation support.